"It's time for David Cameron to tell the British people that Britain is going in the wrong direction. He needs to say that we're living beyond our means. We're spending too much and borrowing too much. We have surrendered our streets to yobbery and incivility. Britain's schools are failing the poorest members of society. He needs to promise a government that will put things right and he should tell the British people that it won't be easy or painless. We need to forget the focus groups and the polling for just one minute and tell the truth about a nation that is in trouble. Mr Cameron might be surprised at voters' reaction. Our hunch is that the first politician to tell the British people 'how it really is' will form a bond with many millions of them." From reports it appears that David Cameron will deliver something close to that speech today, in Cheltenham. With the considerable exception of the party's opposition to Darling's autumn stimulus (although even that was backed by considerable private polling) the Tories have been very unwilling to get ahead of public opinion on the recession. And let's be clear: This tactic has been an enormous political success. A second YouGov poll put the Tories 18% ahead last night. The collapse of Labour means that it's as certain as anything in politics that David Cameron will be Prime Minister. Political success doesn't mean success for the country, of course. New Labour were an enormous political success but did not succeed as a government. At the weekend, my fellow editor Tim Montgomerie posted a piece stating that "The Tories are heading for a landslide victory". He went on to predict a Conservative majority in the Commons of 100 after the next general election. Whilst this outcome would be desirable, I am going to assert my prerogative as co-editor of ConservativeHome on this occasion to take issue with Tim's decision to make such a bold assertion. Yes, the morning papers are now a miserable read for Gordon Brown on a daily basis. And yes, as The Sunday Telegraph's Patrick Hennessy noted yesterday, all major opinion pollsters are predicting a good working Conservative majority when the election comes. However, not a single vote has yet been cast at that election - an election which I believe is still over a year away - and to predict such a sweeping Conservative victory at this stage reeks of complacency and has the potential to suggest that we are taking voters for granted. What's more, if there is a general supposition that there will be a landslide on the scale Tim predicts - which would require a swing of 8.5% from the sitting MP to the Conservative candidate in the top 165 target seats - I would contend that we risk losing votes (and seats) that we otherwise might gain. The second Brown bounce is well and truly over according to opinion polls. The punters have turned more strongly against Gordon Brown than at any time since Tony Blair left Downing Street. Twittering yesterday I've gone on the record predicting a Tory majority of 100. In an echo of the cash-for-questions row that helped bring John Major down we learn this morning that "Labour peers are prepared to accept fees of up to £120,000 a year to amend laws in the House of Lords on behalf of business clients, a Sunday Times investigation has found." Meanwhile The Observer puts a price tag on the recession: "Every taxpayer in the country has lost almost £40,000 since the onset of the credit crunch, as plunging house prices and the savage sell-off in stock markets have obliterated £1.2 trillion of Britain's national wealth." The News of the World makes it more personal: "The average value of houses and flats is falling by £764 a week as prices continue to nosedive—yet the average pay packet is £479." This is all deadly stuff for Brown. He has thrown the taxpayers' kitchen sink at the recession but missed. He's twice bottled the chance of an early election and he'll now head to the country with Britain mired in the worst recession of the developed world and voters facing big tax rises to pay off his eye-watering levels of borrowing. His key lieutenants still lack any idea of how to sensibly attack David Cameron. The reputation of David Miliband - the man once tipped as his party's saviour - is sinking faster than sterling. Labour's misrule will end with a landslide defeat. Of course there is no room for complacency and I see no signs of complacency in the Tory team. The reshuffle produced a sharper team. Eric Pickles is redoubling efforts against the Liberal Democrats. I understand that candidates in target seats are about to face a new, tougher management regime. No rushed policies. There is no need to make announcements that aren't thoroughly thought-through. I'm thinking of badly-received schemes like the employment subsidy. The work of Francis Maude's preparation-for-government unit needs beefing up. Does it have enough resources? Just before Christmas one of the most senior members of the shadow cabinet told me that he had had no significant engagement with Mr Maude's team. The success of this unit will have a big influence on our first term performance as a government. We need to think of using the likes of Peter Lilley, Stephen Dorrell, Michael Howard, John Redwood and others in government. We have been out of office for many years; as Labour had been in 1997. People who have run Whitehall departments should be used to help new ministers with zero Whitehall experience. A relentless focus on a long-term vision for Britain's economic future. See here. The nation is at war and that without victory in countries like Afghanistan we are all more vulnerable: "In Afghanistan today, our armed forces are defending our freedom and our way of life as surely and as bravely as any soldiers in our nation’s history. Let us be clear about why they are there: if we fail in our mission, the Taliban will come back. And if the Taliban come back, the terrorist training camps come back. That would mean more terrorists, more bombs and more slaughter on our streets. That is why we back our troops’ mission in Afghanistan one hundred per cent." A laissez-faire culture is inadequate and Conservatives do not believe that government cannot do anything right: "freedom can too easily turn into the idea that we all have the right to do whatever we want, regardless of the effect on others. That is libertarian, not Conservative - and it is certainly not me. For me, the most important word is responsibility. Personal responsibility. Professional responsibility. Civic responsibility Corporate responsibility... We are not an anti-state party. In the twentieth century, state-run social programmes had real success in fighting poverty and making our society stronger. Pensions, sickness benefits, state education: I honour those men and women of all parties and none who created these safety nets and springboards. But today, the returns from endless big state intervention are not just diminishing, they are disappearing. That’s because too often, state intervention deals with the symptoms of the problem. I want us to be different: to deal with the long-term causes." The experience argument must not frustrate the fact that Britain needs a change of direction as significant as it chose in 1979: "Experience is what they always say when they try to stop change. In 1979, James Callaghan had been Home Secretary, Foreign Secretary and Chancellor before he became Prime Minister. He had plenty of experience. But thank God we changed him for Margaret Thatcher. Just think about it: if we listened to this argument about experience, we’d never change a government, ever. We’d have Gordon Brown as Prime Minister – for ever." The cupboard is bare and it's now time for tough spending control: "Sound money means saving in the good years so we can borrow in the bad. It means ending Labour’s spendaholic culture it means clamping down on government waste and it means destroying all those useless quangos and initiatives. So I will be asking all my shadow ministers to review all over again every spending programme to see if it is really necessary, really justifiable in these new economic circumstances. But even that will not be enough. The really big savings will come from reforming inefficient public services, and dealing with the long-term social problems that cause government spending to rise." Only a declaration of war on the educational establishment will rescue children from failing schools: "The straightforward truth is that there aren’t enough good schools, particularly secondary schools, particularly in some of our bigger towns and cities. Any government I lead will not go on excusing this failure. That’s why Michael Gove has such radical plans to establish 1,000 New Academies, with real freedoms, like grant maintained schools used to have. And that’s why, together, we will break open the state monopoly and allow new schools to be set up. And to those who say we cannot wait for structural reform and competition to raise standards I say - yes, you’re right, and we will not wait. The election of a Conservative government will bring – and I mean this almost literally - a declaration of war against those parts of the educational establishment who still cling to the cruelty of the “all must win prizes” philosophy and the dangerous practice of dumbing down." "Come with me to Wandsworth prison and meet the inmates. Yes you meet the mugger, the robber and the burglar. But you also meet the boy who can’t read and never could. The teenager hooked on heroin.The young man who never knew the love of a father. The middle aged failure where no-one in the family has known what it’s like to go out and work for two generations or maybe more.Miss the context, miss the cause, miss the background and you’ll never get the true picture of why crime is so high in our country." That section has such humanity in it (I'll find the quote from Bush 2000 that it reminds me of later) - such complete understanding of why a crude tough-on-crime message is so inadequate. It was not a perfect speech. We still need to see more specifics on spending control and more substance on welfare reform, in particular. But it was David Cameron's greatest speech yet. He is ready to be our Prime Minister. We billed it as the most important speech of the week. The tone was right. The delivery excellent. The council tax freeze very welcome. The message on the financial markets was appropriate. The speech had some good jokes. But George Osborne disappointed on the big issue of public spending restraint. "The public sector is bloated and there must be discipline. A recruitment freeze in the public sector should be the starting point. We also need changes to procurement practices, IT projects and the budgets for quangoes. That's the message we hope to hear from Mr Osborne in Birmingham." We didn't hear that message. The Mayor of London showed the way yesterday. He has afforded a council tax freeze because he followed another profligate Labour politician, Ken Livingstone, as Cameron-Osborne will follow Brown. By eliminating waste and useless programmes, Boris will be able to offer relief to London's hard-pressed taxpayers. Boris follows other successful Conservative councils; notably Hammersmith & Fulham, that have found ways of cutting taxes, cutting spending and repaying debt. Conservative councils are achieving these gains because they are following on from Labour councils that lacked basic management expertise. The next Conservative government will follow a Labour government that is at least as incompetent. Mr Cameron is politically sensible to distance himself from the toxic term neoconservatism but he's wrong to misrepresent what coalition forces are doing in Iraq. The "drop democracy from 10,000 feet" soundbite isn't just silly, it borders on the offensive. Bill Clinton tried to solve the Iraqi problem from 10,000 feet. During his presidency America bombed Iraq but stopped short of any serious engagement. At enormous cost America, in particular, but other nations, notably Britain, have committed ground troops to Iraq and Afghanistan in the hope of giving those two troubled nations the possibility of the same freedoms that we enjoy. Mr Cameron is 100% correct to say that democracy is much more than elections but it is misleading to suggest that Iraq's democracy is being imposed from 10,000 feet or at the barrel of a gun. For example, enormous efforts have been made to craft constitutions that respect the rights of women and religious diversity in both countries. Troops are now embedded in Iraqi communities, intimately involved in community protection, and providing the space that is necessary for political and institutional progress. In an ideal world we would have time to allow the institutions that support democracy to evolve - as Mr Cameron recommends - but we don't live in an ideal world. The free world had to intervene in Afghanistan because the nation's Taliban regime was supporting al-Qaeda, not least the 9/11 attacks. Without that intervention we cannot know how recent history might have been different but who thought, at the time, that 9/11 was an isolated event rather than the beginning of a campaign of terror? More controversially, we also had to intervene in Iraq because Saddam Hussein was an unrepentant threat to the peace of the region and wider world. The Iraq campaign was very badly handled. We all know that but David Cameron would be better advised to criticise the Rumsfeld doctrine - and its belief in a limited deployment - or Iran for its destabilising role. Talk of dropping democracy from 10,000 feet makes for good headlines but it doesn't help us understand what went wrong - nor what has begun to go right in Iraq. On his blog yesterday Nick Robinson wondered if this website would cheer a forthcoming promise by Nick Clegg to cut the overall burden of taxation. It's true that we're supply-siders on tax. We side with the TaxPayers' Alliance in our fear that it would be disastrous for UK plc if we raise taxes during a slowdown. But there's one big reason why we can't take Mr Clegg seriously on the size of the state: Mr Clegg isn't serious about society. an understanding that politicians can play a role in 'bully-pulpiting' and nudging change as well as legislating for change. We'd like to suggest we got there a few years ago but Nick Clegg just doesn't get this stuff at all. Reacting to David Cameron's Glasgow speech last week, Mr Clegg played juvenile politics, accusing Mr Cameron of having "contempt for the poor and the forgotten". His party's indifference to the institution of marriage, opposition to education reforms and weakness on crime mean he has no route map to deliver the kind of society that can underpin a smaller state. The conservative coalition has three main components: social, economic and 'national purpose' conservatives. On social policy the next Conservative government promises to be profoundly interesting. Economic policy is probably too cautious but is getting more promising. It is in the area of 'national purpose' - our relationship with Europe, national security and wider foreign policy - where thinking has been most limited but the party has two years to develop this area. Today hasn't been easy. To be quoted at PMQs by Gordon Brown and to have so many readers unhappy at what we wrote has produced gloom at ConservativeHome Towers. We can't apologise for what we wrote. We stand by our editorial which was clearly marked as a controversial view and as our own. But we may well have been wrong to publish it today and have communicated our regret to David Cameron's office. Mr Brown might have still referred to our editorial if we'd published it three, seven or fourteen days ago but we concede that there was a particular danger in us doing so today. We have held back in the past, see here and here for example. Although we don't think we had any material affect on the course of events we are sorry we didn't hold back today. This is our second serious apology in three years of blogging and five thousand plus posts. Over at CentreRight we have created room for a number of anti-42 days pieces and have promoted them on the front page. We want this site to be home for different opinions and if you read our comment threads you'll know that you are more than ready to help us succeed in that. What we won't promise is to avoid difficult topics or hold back in expressing our views. The site wouldn't be worth having if it became conservatives.com II. If we think Caroline Spelman is being treated unfairly - as we did at the weekend - we'll say so. We'll congratulate David Cameron for taking on tough line on MEP sleaze but we'll also give prominence to MPs like Andrew Tyrie when they speak against the party line on an issue, like climate change, where we think the leadership isn't necessarily right. Final thought: 42 days may have passed the Commons tonight (on the back of a £200m bribe of the DUP) but it's unlikely to get through the Lords. The civil libertarians who clearly dominate the readership of this blog can take comfort from that! Unfortunately, however, the Lords haven't done us proud on Lisbon tonight. We know this isn't going to be popular among a great many ConservativeHome readers and 92% of adopted Tory candidates but we ought to publicly nail our colours to the mast and stand up with Ann Widdecombe, Norman Tebbit, Matthew d'Ancona, Melanie Phillips and Frank Field as supporters of the Government's attempts to introduce a period of 42 days' pre-charge detention. This debate is often portrayed as a great clash between those who care about civil liberties and those who don't. Between those who are too worried about the threat of terrorism and those who are blind to the dangers we face from extremists. This isn't helpful. Is there really a substantial, principled difference between the Conservative leadership's support for the existing 28 day detention period and the Labour leadership's preference for 42 days? David Cameron has always been careful to appear pragmatic on the issue - repeatedly saying that he and the Tory frontbench were open to persuasion that more than 28 days might be necessary. He hasn't been persuaded but he has never ruled out a longer period of detention on the grounds of high principle. Experts are divided on the issue but we have heard enough in recent days to tip us into the camp supporting the Government's plans. Crucial to our conclusion was last week's article in The Telegraph by Peter Clarke, former head of Scotland Yard's Counter Terrorism Unit. He argued that the complexity of the terrorist networks we currently face - using hi tech methods and operating across borders - may mean that more than 28 days of investigations might soon be necessary. Lord Stevens of Kirkwhelpington, the former Met Chief, who advises David Cameron on security issues, has told this morning's Times that "anti-terrorist police have come close in the cases of six suspects to needing more than 28 days to detain them". A mature political party, interested in public safety, shouldn't lightly dismiss the arguments of such a senior anti-terrorist specialist and a senior police chief. The biggest electoral test between now and the General Election will be 2009's European Elections. The 2004 European Elections did not go well for Michael Howard. The Conservatives underperformed in those elections as UKIP surged. UKIP are a shadow of their former strength but the Conservative Party must not assume that a new challenger won't emerge. Our MEPs could be vulnerable on a number of fronts and it is vital that David Cameron acts now to deal with some of the ethical questions surrounding them. Decisive action may be uncomfortable in the short-run but he will build his status as a politician who wants to restore faith in politics. Mr Cameron took decisive action against Derek Conway and must take similar action against any MEPs who are found guilty of wrongdoing. Mr Howard set a precedent in 2004 when Bashir Khanbhai was deselected during his leadership. Over a number of recent weekends there have been stories of Conservative and other MEPs being less than transparent in their use of expenses. The Sunday Times, News of the World and Independent on Sunday have all carried various stories. Last Saturday we highlighted the failure of many MEPs to provide basic accountability to the Open Europe campaigning group - although the Conservatives are being more open than Labour and LibDem MEPs. This weekend's Sunday Times noted that Giles Chichester MEP, leader of the Conservatives in the European Parliament, had paid £445,000 of staffing allowances through a family firm. These stories should be seen as warnings. They'll be much bigger news in a European election campaign. This morning's Telegraph reveals that David Cameron has "demanded" a "full explanation" from Mr Chichester. If such an explanation is not forthcoming it is suggested that Mr Chichester will be removed as leader of the Tory MEPs. Why are some Conservative MEPs refusing to answer basic questions about how they handle their expenses? Why won’t they name their service providers? What “services” exactly are being provided the MEPs “service providers” and who are they employing? Have other MEPs or their relatives been paid - either directly or indirectly - by the service providers which they have paid their expenses into? The Conservative Party's MEP selection process was constructed so that all sitting MEPs were re-adopted. Grassroots members were excluded from what was a centralised and undemocratic process. The party leadership needs to make amends by making tough requirements of the MEPs it has protected. Some MEPs like Chris Heaton-Harris already operate a full disclosure policy - see this section of his website. All MEPs should do the same. At just before 4pm yesterday Bob Spink rose to his feet in the House of Commons and announced that he had resigned the Tory whip. There is some confusion as to exactly what happened and when but the basic story is this: Mr Spink has been enmeshed in protracted difficulties with his local Conservative Association. Much of this is thought to have stemmed from his having an affair with the wife of the Association's Deputy Chairman, and employing their daughter whilst still a student. Next week he faces the latest in a series of deselection attempts and he asked the Tory machine to come to his aid. He threatened to withdraw from the Tory whip if that help wasn't forthcoming. CCHQ had already investigated the situation in Castle Point and decided that any intervention would be inappropriate. Our view is that the Chief Whip, Patrick McLoughlin MP, took the right course of action. The party cannot be blackmailed by an MP who wants to be protected from accountability to local party members. Our general view is that incumbent MPs need to be more accountable - not less. It's an unfortunate episode and there might be a way back for Mr Spink but his actions in the last 24 hours are only likely to increase the chance of him being deselected. As others have speculated, there is a real possibility he might not sit with Derek Conway as an independent Conservative but might represent UKIP. By way of postscript the indispensable Revolts.co.uk website notes that Mr Spink has been the most rebellious Conservative MP with one notable exception... Ken Clarke! "Bob Spink's departure from the Conservative whip means we lose one of the most rebellious Conservative MPs. 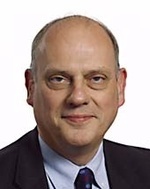 He was the third most rebellious Conservative MP during the 2001 Parliament, and since the 2005 general election, he's cast no fewer than 27 rebellious votes against the Tory frontbench, 23 of them under David Cameron's leadership. It's worth noting, though, that he's not the most rebellious Conservative MP. That's Ken Clarke, who has rebelled a total of 32 times since the 2005 general election. Spink would have been clearly in the lead as this Parliament's most rebellious Conservative MP had the pro-European Kenneth Clarke not racked up 25 rebellious votes in favour of the Lisbon Treaty in the last few months." Yesterday I spoke at Labour's Progress conference. I accepted the invitation before I knew my slot would clash with Arsenal V Man Utd and I had to reject the offer of a ticket for the game. Never mind! The invitation to address the workshop came in mid-August. The topic: "Is the Cameron effect wearing thin?" It was delicious to hear most of my fellow panellists admit that the title was now somewhat out-of-date. My fellow panellists were: MORI's Julia Clark (very straight in her thoughtful presentation), Margaret Hodge MP (who, off-message, complained about NHS targets), The Guardian's Martin Kettle (very impressive man) and Nottingham University's Mark Stuart (a real freethinker). One of the most interesting parts of our hour together concerned whether or not the Conservative Party had really changed under David Cameron. Hodge led the suggestion that it hadn't and claimed that David Cameron's recent alleged remarks at the Arts Council about one-legged, Lithuanian lesbians were proof that the party was fundamentally the same. Platform10 posted an unhelpful piece yesterday talking about "headbanging" from the Tory leadership. I genuinely have no idea what the author, Fiona Melville, was talking about. Top of my list would be David Cameron's commitment to social justice. IDS' social justice report was superb. Labour may not like it but the centre right is doing the interesting thinking on welfare today. See this week's Spectator cover story. Michael Howard more or less dumped IDS' social justice agenda. It's centre stage under David Cameron. Traditional issues may be back on the agenda after the recent "rebalancing" but they're not back in a Michael-Howard-kind-of-a-way. Trevor Phillips wouldn't have praised Howard's approach to immigration. On crime there's more understanding of the conveyor belt to crime. On Europe there's real Euroscepticism but less Little Britain-ism and more wanting to be a global player. Selected candidates are more diverse - 30% are women and if we win a majority at the next General Election there could be fifty to sixty women on the Tory benches. The Conservative Party's tone is very different. David Cameron can reach Waitrose voters in a way that Michael Howard (does it sound like I'm picking on him?!) never could. That's why Nigel Hastilow's intervention was so unfortunate for the reasons expressed by 'Common Sense'. The party has embraced the expectation of gay adults to enjoy full respect from society. There are two openly gay members of the shadow cabinet. So, real "progress"... but enough? No. On candidates there was too much focus on gender and skin colour - not enough on diversity of life experience. The Spectator's Fraser Nelson is right about welfare reform. Things are moving in the right direction but I'd like to see more beef. On some change issues I'd like to see much, much deeper change. A party that was really serious about international justice would be talking about UN reform. We're not. In fact we hardly have a foreign policy. Cameron has been to Darfur but there's no sense of a deep commitment. I hated the fact that, last week, the LibDems led the charge against Saudi Arabia and we were pretty much silent. Progressive conservatism is still the philosophy I'd like to see at the heart of our party. It was my passion before ConservativeHome became something of a protest vehicle against 'BC Cameron''s imbalanced failure to talk about bread'n'butter issues (BC - that's Before Coulson). This site has always been about 'the politics of and' and will continue to be so. PS You'll note I haven't mentioned the environment as proof of Cameron's "change". In my opinion there's been little authenticity to Cameron's greenery. It's not just the chauffeur following the bike. There's been the many domestic flights and the foreign holidays. I have nothing against domestic flights and foreign holidays but Cameron can't discourage the rest of the country from taking them and then take them himself. The Tories should be conservationists - are conservationists - but of the kind outlined by John Redwood - not the Gummer-Goldsmith types. We now have breadth but do we have boldness? "For the first time in my adult life I heard a party leader clearly attempting to deracialise the issue of immigration and to treat it like any other question of political and economic management... And given that Mr Cameron is speaking against a background in which his party's policy inheritance is defined by Howard, Hague, Thatcher and Powell, this seems to me like a turning point in our national debate about immigration – one that will make it possible for us to speak openly and sensibly about the subject, which most of the country sees as the single-most important in politics." Mr Cameron was on Radio 4's Today programme this morning to talk further about his immigration policy. He attacked the Prime Minister's "British jobs for British workers" slogan - noting that it was illegal. He described Labour as "completely incompetent". They try and control everything but end up controlling nothing, he concluded. The Today programme had previewed the interview by caricaturing the immigration debate over the last forty years as the Tories roughly against more immigration and Labour as broadly in favour. David Cameron said that this was a false description of the reality. Over forty years, he said, both parties had been in favour of "controlled immigration" but Labour had either abandoned or failed to enforce historic controls. The Conservative leader said that "we would benefit if actually we had slightly lower levels of net immigration" but appeared to rule out attaching a number to the promise of a cap on non-EU immigration until the party is in government. Mr Cameron said that he would not want to set a number until he possessed all of the facts - facts that would be gained after talking to local government, business leaders and those running our public services. 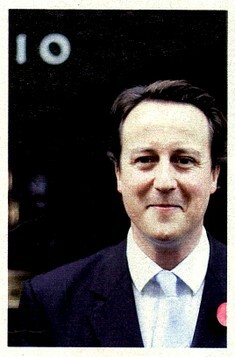 Editor's comment: "Every day David Cameron is growing in standing. He handled this morning's interview well. He is able to talk about issues like immigration in ways that were impossible for Michael Howard. The praise from Trevor Phillips is very valuable. After nearly two years of silence on bread and butter issues the party is talking again about the issues that matter to the British people and is doing so with previously elusive sensitivity. Will this new breadth from the perfectly-pitched David Cameron be enough? It might be. This week's immigration stats blunder is just the latest example of Labour's extraordinary incompetence. Labour's decline and possible LibDem infighting (of which more later) may be enough to win us the next election but we shouldn't presume so. I'm genuinely wondering whether more policy boldness will help get us a parliamentary majority or will frighten folk. I hope Lord Ashcroft's money is investigating that question. What I do think - and there's plenty of time to put this right if necessary - is most of our current policies are inadequate to the challenges Britain faces. This concern was expressed by Melanie Phillips on Tuesday although, also from within the Spectator family, Fraser Nelson appears to believe that the Tories are on the road to genuine radicalism. I'm open to being convinced but am not yet converted. The Tories are promising to match Labour on spending which may make significant (and economically urgent) reductions in tax and borrowing very hard to deliver. Our health reform policies are very timid although education policies are looking better and better. It is not clear that, outside of things being more competently managed, how much of a bankable difference on immigration would be possible. Will Conservatives really repatriate powers from Europe? Will we renew our armed forces? I repeat: Over time the Cameron leadership may offer convincing responses to Britain's challenges but I don't think they have done enough yet." There are good sections in the speech. There is a reasonably strong statement on Afghanistan. David Cameron announces a new security dialogue between Dame Pauline Neville-Jones and the German interior ministry. He emphasises border protection and greater integration between domestic and foreign security policy-making. But the speech is confusing overall. First of all is Mr Cameron's promise to put national security first. This, he says, is a change from Tony Blair: "To help protect international security, any state must put its own national security first." This, surely, is a false choice. Every sensible state will always do what is necessary to protect national security (clamp down on extremist groups, police the borders, invest in the intelligence services etc) but why does that have to be in tension with international security efforts? Distancing the Conservative Party from Blair and Bush may be good politics but what does this 'putting national security first' really mean? Those who are willing to believe that Cameron is not shrinking away from external threats can take some comfort from his commitment to "apply sanctions which really target Iranian financial institutions and trade." There's not much else to go on, however. The speech is most notable for what it doesn't say. There's no commitment to increase investment in our armed forces. There's no words about Saudi Arabia's export of subversive propaganda. Nothing on missile defence. There's no commitment to reform of the United Nations. Instead we get a commitment to increase the size of the Security Council which only risks making the UN more unwieldy and less likely to intervene in places like Rwanda and Darfur. "We should replace the doctrine of liberal interventionism, famously propounded by former Prime Minister Tony Blair in a speech in Chicago in 1999, with the doctrine of liberal conservatism – conservatism not in its narrow party political meaning, but in the sense of a sceptical attitude towards the ability of states to create utopias." All of us are wiser about nation-building after recent years but my overall view is that interventionism is often necessary, although sacrificial. Many, many more people have died when we have not intervened (Rwanda, Darfur, Srebrenica) than when we have (Kosovo, Sierra Leone, Iraq, Afghanistan). I am not in favour of the kind of badly-prepared interventions that characterised the Bush and Blair years but more responsible leaders - McCain, for example, said from pretty much day one that many more troops were needed in Iraq - would have avoided the situation that Petraeus is now beginning to redeem. The loss of life and chaos in post-Saddam Iraq has rightly horrified the world although the situation may finally be turning around. I emphasise "may". What we cannot afford, however, is for the world to be blind to the situations in Pakistan, Iran, Syria and other nations. There's plenty in Mr Cameron's speech that points in the direction of a more isolationist Britain but the text is confused enough for liberal interventionists like myself to still have some hope. The Gummer-Goldsmith report has, as ConservativeHome feared, done the party a lot of damage. It risks making us look like a high-tax party out of touch with ordinary families. And for what benefit? Nothing Britain does on its own will make a difference to climate change. As the Copenhagen Consensus powerfully argues: there are many more sensible priorities for forward-thinking nations. "The Tories are meant to be targeting Britain’s hard-working families with tax CUTS, not tax RISES. But Goldsmith’s wish list of green policies would make life hell for most Sun readers." "Why should we wear hair shirts when China builds two new coal-fired power stations a week and Russian rivers are so polluted they catch fire?" "Millions of hard-pressed British people know that a higher income would improve their lives. Any party that claims the opposite, let alone one dominated by those born into wealth, is doomed to perpetual opposition." "Families would be forced to turn their houses green before being given permission to carry out loft conversions or conservatory extensions under plans published by the Tories yesterday. Householders would have to follow in the footsteps of David Cameron by fitting energy-saving light bulbs, solar panels and possibly even a wind turbine on the roof if they wanted to make home improvements." "The report's authors have embraced the profoundly un-Conservative notion that people can be taxed into living their lives differently. It is one thing to try to incentivise people to become "greener", quite another to try to bully them into submission through new taxes. While we recognise that it would be the ambition of a Tory government, over the course of an economic cycle, to reduce taxation, the report recommends swingeing environmental taxes on new cars, higher vehicle excise duties and VAT on domestic flights. Mr Cameron promised yesterday that all environmental tax revenues will be ring-fenced in a Family Fund that will be used "to reduce family taxes". It may be the fault of Labour that promises made by political leaders have come to be regarded as less than iron cast, but we doubt this assurance will reassure voters. These aggressive tax proposals are unachievable in a literal sense, for any party espousing them would have little hope of winning power (a truth already grasped by Gordon Brown)." The Independent welcomes the report, of course, and warns him that his credibility will be finished if he does not back its recommendations. The Guardian is also positive but in remarks certain to alarm Conservatives it concludes that it is "far more radical on environmental policy than anything produced by Labour's high command". Anyway, it's time to move on. I don't always agree with Iain Dale's Telegraph columns. They're very panglossian about the weaknesses of Conservative strategy but he's on the money today. Brown doesn't just want to beat the Conservative Party. He wants to destroy the Conservative Party. That's more obvious today than it was yesterday. The Thatcher-Brown meeting - strongly attacked by Rob Wilson MP in a controversial Platform piece - proved that conclusively. ConservativeHome (belatedly) launches its 'wrongman' website on Monday. It's not going to have much content on day one but - with your help - we can build it up into a creative centre for holding Brown accountable for his record and weaknesses. Oliver Letwin's sixth policy group will report later this week and it's an interesting question as to what David Cameron's head of policy will do then? It is Francis Maude, I understand, who has the job of converting all policy ideas into usable form. John Gummer has prevailed against Zac Goldsmith's strong opposition to nuclear power. Green taxation is unpopular. It's unpopular with voters at large. It's unpopular with Tory members. It's unpopular with the right-of-centre press. Most people would rather see technology-led solutions to environmental problems. They see green arguments as a convenient cover for politicians who want to find stealthy new ways of raising taxes. A report from The TaxPayers' Alliance earlier this week found that existing levels of green taxation more than cover the environmental costs of our activities. John Redwood recommends a mindset shift to tax relief for planet-friendly activities. He's correct to do so. Green action mustn't punish the poor. Green taxation - like the congestion charge and VAT on domestic flights - can fall most heavily on the poorest. There is a real danger that environmentalism can look like a rich man's sport. The Gummer-Goldsmith report will apparently attack "the hedonistic treadmill" and tendencies to treat the market as a god. Few Conservatives are in favour of hedonism or unregulated capitalism but too much environmentalism resembles rich people telling the poor what they can and cannot do. Rich people who enjoy foreign holidays want to tax the budget getaway-to-the-sun for low income families. Already rich nations want to limit the industrial development of poor nations. It is true that environmental problems hurt the poor most but it's important that the wealthiest voters and countries shoulder a full share of any environmental action. The party leadership mustn't just talk green. Voters won't respect the Conservatives on the environment if we don't walk the walk. If we're going to clamp down on domestic flights then the shadow cabinet must use trains. If we're going to object to foreign holidays then frontbenchers need to spend recess in Devon, Cumbria and at other UK resorts. Green action should not endanger Britain's competitiveness. Much environmental action can be a good in itself. Zac Goldsmith makes a very good case, for example, in today's Mail on Sunday for retailers taking more responsibility for the excessive packaging that comes with their products. The dangers of energy insecurity should also encourage more renewable energy use and more energy conservation. But some of the recommendations of the Gummer-Goldsmith report look economically dangerous. Crude restrictions on airport expansion will only transfer business overseas. Heathrow's loss will, for example, be Schiphol's gain. We also need to be aware that most of the growth in emissions is coming from India and China. British action should not amount to unilateral economic disarmament. Climate change must not eclipse other concerns. Team Cameron now realise that they talked too much about the environment in their first eighteen months. Recently they have begun to achieve more of a balance in their communications. They are now also focusing on issues that are more worrying for voters: the NHS, crime and the cost of living. That needs to continue. There should be a focus on 'achievable conservation' - not changing the world. The party's green messages have been most successful when they have been local. The 2006 and 2007 'Vote Blue Go Green' campaigns successfully highlighted the excellent record of Conservative local councils. There is only so much that Britain can do to combat global climate change but there's a lot more that a Conservative government can do locally and nationally. I think of planting trees, recycling, cutting waste, investing in renewables, protecting natural habitats and so on. We should focus on what voters know is doable. I mention Zac's Mail on Sunday article again as a good example of sensible, achievable environmentalism. If the party gets all this badly wrong in the next seven days we can expect talk of an autumn election to become frenetic again. Michael Ancram's warning to David Cameron dominates this morning's headlines. His warning for the party not to lose its soul is the main story on BBC Online. I woke up to it at 6am when his Still A Conservative pamphlet led the Today programme. He gets the main headline story in The Telegraph. I like and respect Michael Ancram. He was an excellent Chairman during a difficult time for the Conservative Party. I broadly agree with what he says about tax and Europe. I wish he hadn't released his pamphlet today, however. If Michael Ancram had released his pamphlet three or four weeks ago I would have had more sympathy with it. But in the last two weeks David Cameron has begun to get the balance of the Conservative message right (as I've blogged). All of us who have sometimes worried about the imbalance of the first eighteen months now need to give the revised strategy some time to deepen. It's also important for Tory MPs not to provide Gordon Brown with ammunition at the moment - the beginning of his September offensive. John Bercow and Patrick Mercer are rightly castigated in this morning's Sun for giving comfort to Gordon Brown. I fear that Michael Ancram has done the same. You can read Michael Ancram's paper in full here, I hope to read it later today and will report back with anything noteworthy. "In the light of today's somewhat lurid headlines, I am attaching the whole pamphlet in the hope that you might find time to read it for what it is meant to be; my offering to the debate on the Party's direction. You will notice that I pay tribute to David Cameron for what he has achieved thus far and hope that the exciting policies coming from the Commissions will be a fresh means of articulating the principles and beliefs which I set out.. Thanks to all of you who forwarded it to me. Earlier today I noted an important interview that David Cameron gave to the Yorkshire Post. In that interview he promised to emphasise social breakdown in a likely autumn General Election. Although the party must have strong and coherent policies on economic issues I think Mr Cameron may be judging things about right. It's not quite a Jamie Bulger moment but last night's tragic shooting of Rhys Jones is a terrible confirmation of how rotten much of British society is becoming. The accounts of Rhys' mum cradling her eleven-year-old son as he lay dying is truly horrifying. In his excellent speech yesterday David Cameron set out a three dimensional approach to fighting social disorder. He promised action to improve the criminal justice system by giving more power to magistrates. He undertook to free the police from the bureaucracy that means that they're off the beat for 80% of the time. And, vitally, he promises to rebuild the social structures that help young people to escape from the conveyor belt to crime. In the last two areas he has been given a very strong set of policy options by Nick Herbert and Iain Duncan Smith. Nick's police reform agenda and IDS' 'Breakthrough Britain' report mean that the Conservative Party can offer Britain a thought-through approach to turning the tide on crime and anti-social behaviour. It's also good to see David Davis running hard on all of these issues. Writing for tonight's Evening Standard he holds the Government responsible for the offensive Chindamo decision. Extracts are printed below this editorial. The Conservative approach to these questions is David Cameron's greatest achievement as Tory leader. There's still the familar Conservative commitment to punish serious and repeat offenders. There's still belief in the Michael Howard doctrine that 'prison works'. There are new and welcome policies to scrap the Human Rights Act. David Davis is certainly the right man to convince core Tory voters that the party will be tough on crime. But alongside the familar policies there is a commitment to be tough on those infamous causes of crime which have only become more powerful in the Brown-Blair years. Tory action against drug and alcohol addiction, measures to help families stay together and support for the social enterprise sector give the party a strong anti-crime agenda. These should be the issues that now stand at the heart of David Cameron's bid to be Britain's next Prime Minister. Fraser Nelson starts his list with George Osborne: "George Osborne would be the continuity candidate: a moderniser to his fingertips. At 36, the Shadow Chancellor is five years younger than Mr Cameron - the same age William Hague was when he succeeded John Major. His easy charm has translated into a loyal following among party donors. He is telegenic, articulate and not deemed to be carrying much Old Tory baggage. He was privately scathing about ‘hug a hoodie’ and would certainly be tougher on crime and anti-terror legislation than Mr Cameron." Then there's William Hague: "The Shadow Foreign Secretary is on record as saying that leading the Tory party once in a lifetime was enough for him. Yet he is at the centre of any leadership calculations made by senior Conservatives. He has undergone a remarkable rehabilitation since he quit in 2001 and at 46, is certainly young enough for a second shot. The question is whether he can be persuaded to step back into the spotlight. Has carved for himself a successful life outside politics, and makes £600,000 a year from business, speaking and literary pursuits... ‘But would he really want to repeat his suicide mission?’ asks one of his allies. Some who speak to him fear he may walk away from the front bench entirely — let alone wait to be leader again." The list concludes with three figures from the right: David Davis (the pugilist who could counter the Great Clunking Fist) Liam Fox (whose robust views would provide clear blue water for the Tories) and Michael Gove. "The more Tories ponder the alternatives, the clearer it becomes that there is no better option than the incumbent. Strikingly, no one I spoke to disputes this. One Shadow Cabinet member told me that, should Mr Cameron be run over by a bus, ‘I’d kill the bus driver.’"
Editor's comment: "There is no political messiah waiting in the wings to rescue the Conservative Party. The Tory problem is not primarily one of leadership and there is no obvious alternative to the charismatic leader we have. Our party's problem is one of strategy. Prosperity and security are nearly always the top two issues for voters and we haven't focused enough on those issues. Below the headline polls the most depressing recent poll finding was ICM's finding that the new Prime Minister was preferred over the Tory leader on ability to handle terrorism by 52% to 20%. The Tories need to play hardball with Brown on this. David Davis pinpointed some of the issues in an article in yesterday's Telegraph. He mentions Labour's failure to get to ban the extremist organisation Hizb ut-Tahrir. Labour are also making Britain vulnerable by lax border controls and diverting money away from, for example, intelligence because of the expensive and probably unworkable ID cards scheme. Davis, Fox and Hague should be leading the attack on Brown on these issues. The challenge over the summer is not to put the Tories back into an election-winning lead - that may be too big an ask. The challenge is to reduce the Labour lead so that the instinctively cautious Gordon Brown won't risk an autumn election. It's not so much a time for strategy - more a time for guerilla war against Labour. If we can prevent an early election we have a better and better chance of avoiding a nightmare fourth defeat. As time goes by voters will stop giving Brown the benefit of the doubt that he's currently enjoying. The legacy of the Brown-Blair years on crime, taxes, unreformed public services and wastefulness will reassert itself. Tactical action to stop an autumn election should be the top priority for CCHQ over the summer." Bruce Anderson criticises David Cameron today for failing to deliver the grittier Conservatism promised at the new year. The failure to deliver that grit means, he writes, the party has lost momentum. When Fleet Street's leading defender of Project Cameron - Daniel Finkelstein excepted - becomes critical, Team Cameron should take notice. "The most significant mistake of the Tories' campaign to change their image is precisely that it has been so explicit and self-conscious. They have, in as many words, told the nation that they are utterly obsessed with appearances. They have announced, so repeatedly as to be risible that their top political priority - their primary objective for the immediate and medium term - is to change the way they are perceived. Now why do you suppose that the public, subjected to this relentless make-over show, should have got the impression that they are "all style and no substance"? Perhaps because they are simply taking the party at its word. Mr Cameron and his friends tell us endlessly that everything that they are saying is for effect - "change to win", "be the change", "we've got to look like modern Britain", blah-blah - and then they wonder why voters think they are shallow. Being "obsessed with image" isn't an accusation made by Team Cameron's enemies: it is what they say about themselves." Ouch. Janet Daley's powerful critique - not dissimilar from that written by Brown's spindoctors for Quentin Davies - needs to be answered and fast. In an article for The Observer the shadow housing minister Michael Gove argues that David Cameron is setting the political agenda. Mr Gove, expected to join the shadow cabinet in the imminent reshuffle, points to (1) leadership on the environment and the family, (2) opposition to top-down control of the public services and (3) preference for better enforcement of existing laws rather than more legislation as some key areas where David Cameron is defining the terms of political debate. There is, of course, other ways of interpreting the last eighteen months. Many believe that the Tories have become 'Europeanised' under David Cameron. The party has, for example, largely accepted eurozone levels of taxation and public spending. Britain recently overtook German levels of tax and public expenditure but the Conservatives are very cautious about halting Gordon Brown's tax and spending juggernaut. The Tories are committed to reversing the Thatcher-Major governments' neglect of marriage and the family but Welfare & Pensions spokesman Philip Hammond communicates no appetite for serious welfare reform. Under David Cameron the Conservatives have also shifted away from Anglosphere conservatives and towards a more European view of such issues as how to respond to climate change, how to fight the war on terror and how we should relate to Israel. "Nationalism and immigration are powerful political weapons. The Tories have left them abandoned, for Gordon Brown to use. A man with an election to win couldn't ask for a better present." Michael Gove's talk of being on the centre ground and of leading the national debate won't help the Conservatives to reach the northern, striver and traditionalist voters that Conservatives need for victory. Conservatives should be highlighting Gordon Brown's record of incompetence on tax credits, pensions and waste as reasons why he cannot be trusted with Britain's future. Mr Gove is right to say that there should be no retreat from David Cameron's emphasis on environmental issues and social justice. There actually needs to be a deeper and more authentic commitment to both. But, as David Cameron promised on Wednesday night, there also needs to be tougher measures against crime, on border control and against further losses of British powers to Brussels. At the time of the last General Election I commissioned the drawing on the right to illustrate what I feared had become of the Conservative Party. We had become a narrow party - using outdated methods of communication and language - bunkered and isolated from much of the real world - and lacking the vocabulary and knowledge to talk about anything other than the core vote issues of tax, Europe, crime and immigration. The shields that crown this blog illustrated what I hoped the Conservative Party might become - a broad coalition that retained its commitment to the causes championed by the traditionalists but was also a party of compassion, conservation and international responsibility. "I think the centre-right in politics, if it is optimistic, forward-looking, engaged in the world today, can be an incredible force for progressive politics." Nicolas Sarkozy's appointment of Bernard Kouchner as foreign minister signals that France's new centre-right President is not afraid of liberal interventionism. Kouchner, founder of Médecins Sans Frontières, was a man of the left but has been kicked out of the Socialist Party for accepting M Sarkozy's inspired offer. He supports intervention in Darfur and sympathised with the Bush-Blair intervention in Iraq. I find the appointment genuinely very exciting. Today it is the conservative belief in school choice that offers poor, inner city families the hope of a better education for their children... It is the conservative faith in human dignity that wants to free the poor from the feed-and-forget philosophy of the welfare state bureaucracy... It is the left that is allying itself with Islamic facists because of its defining anti-Americanism. When I commissioned the drawing above I was not against the Tories sticking with familar policies on tax, crime, immigration and Europe but I hoped for much more. I have been critical of David Cameron for neglecting those core beliefs in his quest for a greener, gentler conservatism. I do not apologise for that but this site should be doing more to encourage some of the changes that he is making in this 'progressive' direction. The changes certainly need to go much further. It is not enough to make a welcome visit to Darfur and then raise the issue once or twice at PMQs. Where is the passion to really do something for this troubled part of Africa? Will David Cameron prioritise tax relief for the low paid (within his sharing the proceeds of growth formulation) or will they largely go to business? What will he do with Iain Duncan Smith's report on social justice? Will the party's Human Rights Commission and its work on Burma, for example, become a leading influence on Tory foreign policy? Why are the LibDems taking the lead in questioning British Aerospace's unsavoury dealings with Saudi Arabia? If flying is so bad for the environment why doesn't he holiday in Cornwall rather than Crete? The Conservative leader is right to say that we can be the new progressives. Those of us who believe in that change need to do more to encourage him in such a direction. PS Fraser Nelson is encouraged, too! The simple truth from this Sunday Times/ YouGov poll is that Labour are up two points and the Tories are down two points. The headline spin from The Sunday Times, however, is that the Tories are back to the same kind of opinion poll lead that they had at the very start of David Cameron's leadership. But - as ConservativeHome has consistently argued - there isn't much point in taking headline polls too seriously until after the party conference season. Part one of our ongoing video interview series with three leading pollsters gave majority support for this view. Stephan Shakespeare of YouGov said the polls will be a more reliable guide to the next election by late autumn; Ipsos-MORI's Ben Page advised a wait until next January or February for a true picture; only Communicate Research's Andrew Hawkins thought the headline polls could - more or less - be taken as very trustworthy now. What will be a little more concerning for the party are YouGov's findings that Cameron comes off poorly in head-to-head comparisons with Gordon Brown. The Chancellor leads on “sticking to his principles” (49%-19%); being "strong" (44%-11%); being "decisive" (38%-12%) and "honesty" (23%-18%). David Cameron's one advantage is on charisma where the Tory leader has a whopping 30% to 4% advantage. These findings are similar to recent research from Populus and ICM. This research comes on the eve of a major speech by the Tory leader which The Sunday Telegraph is billing as a strategic "u-turn" in which the party's leadership will be 'repositioned'. Unidentified "sources" (not even top sources, senior sources or sources close to the leader!) apparently told The Sunday Telegraph's Patrick Hennessy that a "Save Dave" operation is underway to restore support amongst the grassroots and to counter a "close to panic" atmosphere inside CCHQ. Hennessy notes that William Hague and David Davis - addressing a meeting of activists in Yorkshire yesterday - rejected the 'heir to Blair' label by refuting the idea that the party is copying Labour policies. Have they told George Osborne!? The imminent arrival of Andy Coulson as Head of Communications - Coulson has the instincts to help the party connect with the three groups where Project Cameron is weakest; traditional Tories, northern voters and lower income strivers. The policy review process should help to address the perception that Cameron is all spin. Recent announcements on parliamentary reform, City Mayors and skills are all encouraging early signs from Oliver Letwin's policy review process. ConservativeHome hopes that the review process will help to ensure that messages likely to appeal to the three target groups identified above are presented more prominently alongside the greener, gentler aspects of Cameronism. The increasingly assertive role that Hague, Davis and Fox - darlings of the grassroots - are taking in explaining the Project to the party and traditional supporters outside of it (eg Fox here and Hague here). Yesterday's initiative - as trailed in The Telegraph - which will see the party make an attempt to become Britain's first seriously online party. I'll be writing in more detail about that initiative tomorrow." You recently voted for Nadine Dorries MP as your favourite parliamentary blogger. Up until now the relatively new Cornerstone blog has been a pretty plodding affair (all posts have the same 'Thought for the day' headline and there is no option to leave comments) but the MP for Mid-Bedfordshire appears determined to liven things up with her post of today. "We were told that backstreet abortions were killing women and had to be decriminalised. We were told abortion would only be used in extreme cases. We were told medical scrutiny would be rigorous. We were told a lies and misinformation masquerading as compassion and truth. The scale of the killing is beyond our grasp. In Scotland we kill the equivalent of a classroom full of school children every day." Although Nadine Dorries offers some kind words to Cardinal O'Brien - welcoming the attention his remarks will bring to the "unacceptably high number" of abortions - she is largely unimpressed. Two weeks ago The Sunday Telegraph's Melissa Kite wrote a highly speculative piece about a shadow cabinet reshuffle. Fox was to be sacked, Hague to be demoted and David Ruffley would enjoy a massive promotion. ConservativeHome covered it here. Iain Dale fisked it here. Alan Duncan MP rightly dismissed it as shoddy journalism here. Ms Kite has authored a piece for today's Sunday Telegraph about the whole business. Rather than defending her original article today she continues the mudthrowing tactic that she adopted last week in a post for The Spectator's new blog. In that post she blamed the criticism of her article on misogyny and the Christian right. (Note to Melissa: Alan Duncan is not a member of the Christian right). I have no regrets about ConservativeHome's two postings on this affair. Despite all of Ms Kite's mudthrowing there is only one dominant issue here: Journalists can no longer write speculative pieces for Sunday or other newspapers and expect no scrutiny. Before the blogosphere people that might have been injured by the pen of Ms Kite and her colleagues could, perhaps, hope that the offending newspaper might publish a letter of correction in a subsequent edition. Now the scrutiny of lazy journalism is fast and sometimes too furious. I say "sometimes too furious" because Ms Kite is right to complain about the nastiness of some of the comments that appear on some blogs. I would say, however, that the comment threads of her own Telegraph and of other major newspapers can also be nasty and I would defend ConservativeHome by noting that our comments policy means hateful and personal comments are usually deleted and result in a IP ban for their originator. Ms Kite's tactic of quoting blog comments from one permissive blog and trying to smear all Tory blogs is consistent with her behaviour from day one of this little exercise. She is a journalist who is hating being held accountable. There is a real need for the still-young-blogosphere to grow up (and tomorrow ConservativeHome will be announcing an initiative to help this site to be a trusted publisher) but there is also a need for Ms Kite to grow up. Time will prove that Melissa Kite's 6th May piece was "shoddy". Journalists who have long held politicians to account can now expect much more scrutiny themselves. Ms Kite's noisy response to the Tory blogs won't change that. And, Ms Kite, as for your claim that "Tory blogging is close to death" - ConservativeHome is set for our busiest ever month.